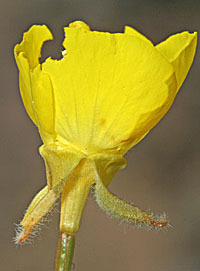 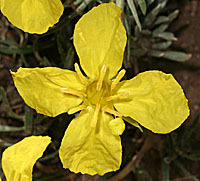 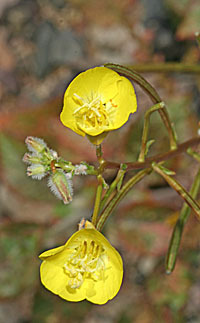 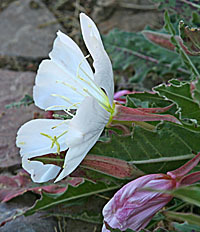 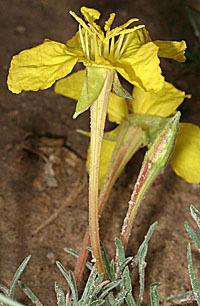 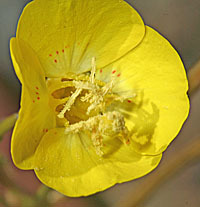 Calylophus hartwegii (calyx, crest) , Hartweg's Sundrops, growing at 5,000 foot elevation on shale mesas near Lake Pueblo just West of Pueblo, Colorado, August 12, 2006. 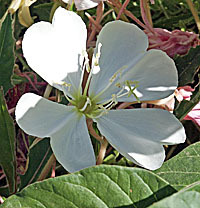 Plant height is 15 cm., flower width is 34 mm, flower length 54. 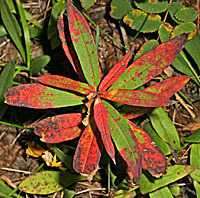 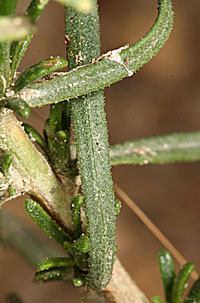 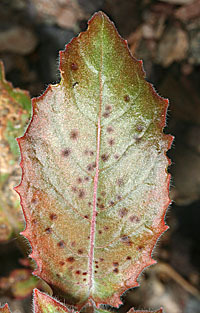 Leaves are stem, alternate or fascicled, length 34 mm., width 2mm. 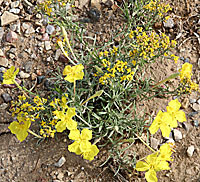 Golden Sundrops, Camissonia brevipes, growing on sandy gravel, Mud Canyon, Death Valley, 690 feet, March 18, 2007. 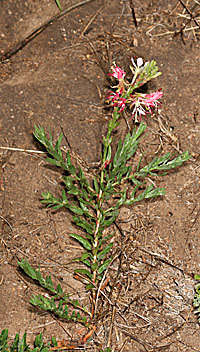 Plant height is 35.0 cm., leaves are mostly basal, a few stem leaves alternate. 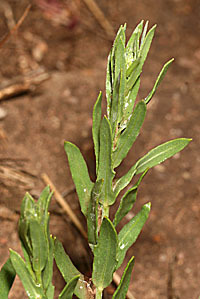 Basal leaf length is 50 mm, basal leaf width 25 mm, stem is about 1/4 the size of basal leaves, flower yellow, width 19 mm. 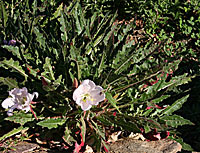 This is a very open, sunny area in shallow, wide west facing wash.
Epilobium angustifolium is common in disturbed ground throughout moderate elevations. 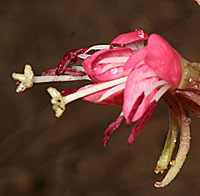 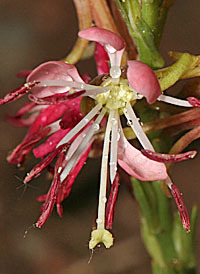 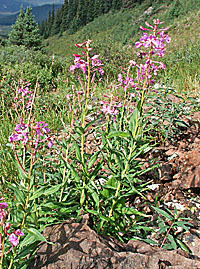 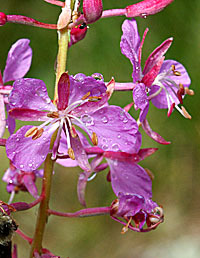 Scarlet Gaura, Gaura coccinea (scarlet), growing in a small wash on hillside near Pawnee Buttes Trailhead, Pawnee National Grazeland, Colorado, 5,400 Feet, May 22, 2007. 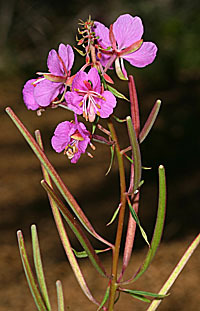 Plant height is 15 cm., flower width is 28 mm, leaves all stem, length 35 mm., w 15 mm.